Being an officer of a the law is a hard job. Sometimes you get it right, and sometimes you mistakenly issue a parking ticket to a snow sculpture because you think it's a real car. "It was incredibly realistic looking. 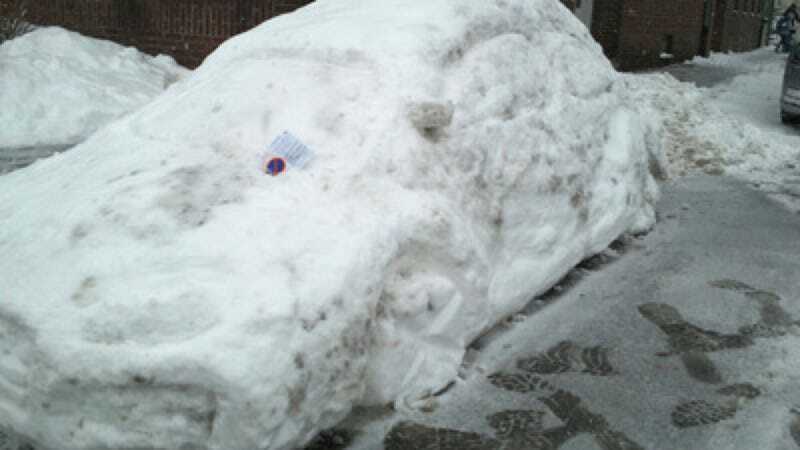 It looked like you could get into it and drive away once you'd swept the snow off," said one local. "The wardens eventually realised they'd been had when they tried to scrape the snow off the number plate and found there was no plate, just snow," they added. As for the German authorities, they're still mad, bro, because the snow sculpture was obstructing traffic. (On the other hand, this German newspaper reports that the cops were in on the joke.) Something tells me the sun will take care of that problem eventually.